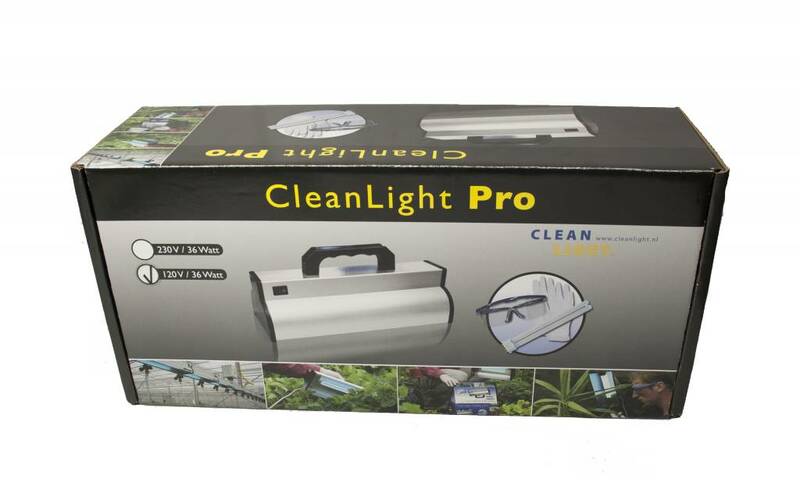 The CleanLight Pro unit is for more professional growers. The UV light kills powdery mildew and botrytis very effectively. By swiping your plants with CleanLight you will immediately kill all the fungusses, virusses and bacteria on the crops. With this bigger unit it is possible to treat plants faster, per plant 2-3 seconds is already enough. The powerful 40 watts lamp rapidly kills all the fungi, viruses and bacteria on your crop and is especially effective against powdery mildew and botrytis. Powdery mildew is a fungus that stays on the leaves, by swiping your plants with CleanLight on a daily basis, the powdery mildew turns black and you can whipe it off the leaves. This method of plant protection doesn’t leave any residues and can be used from cuttlings to postharvest. Especiall during the last couple of weeks / days in which chemicals cannot be used. 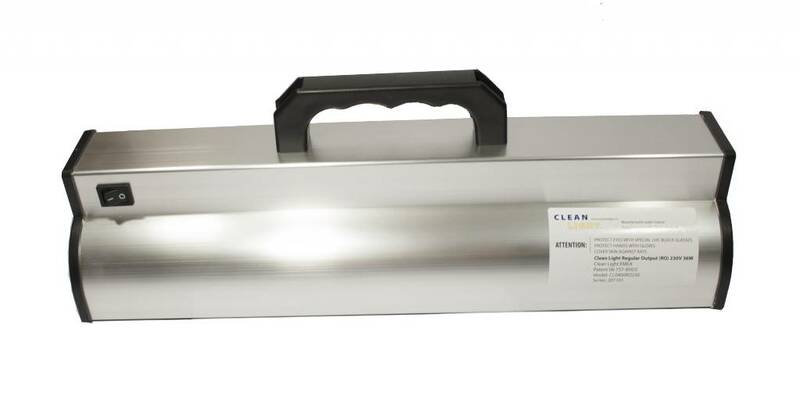 For using the CleanLight technology no licence required! Also for disinfecting the room CleanLight can be used very easily. Order the PRO kit (including the safety gloves and safety goggles) now! CleanLight UV crop protection is a clean and effective way to protect crops against diseases and improve the quality of the plants and crops. 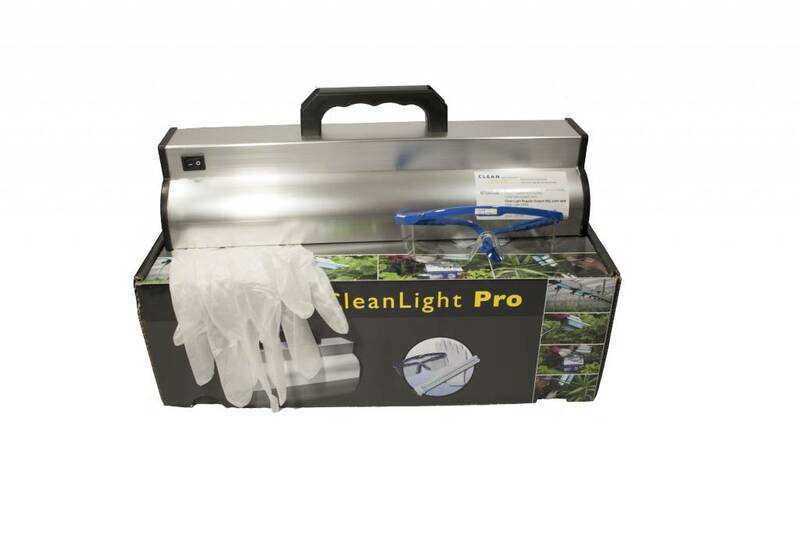 CleanLight is in the professional horticulture active in more than 20 countries, mainly becuase of the quality improvement and because it is a residue-free method. Also hobby gardeners suffer from fungi on plants and crops indoor or outdoor en prefer not to use chemical pesticides. Funguses like powdery mildew and botrytis can be killed very effectively by means of CleanLight UV. 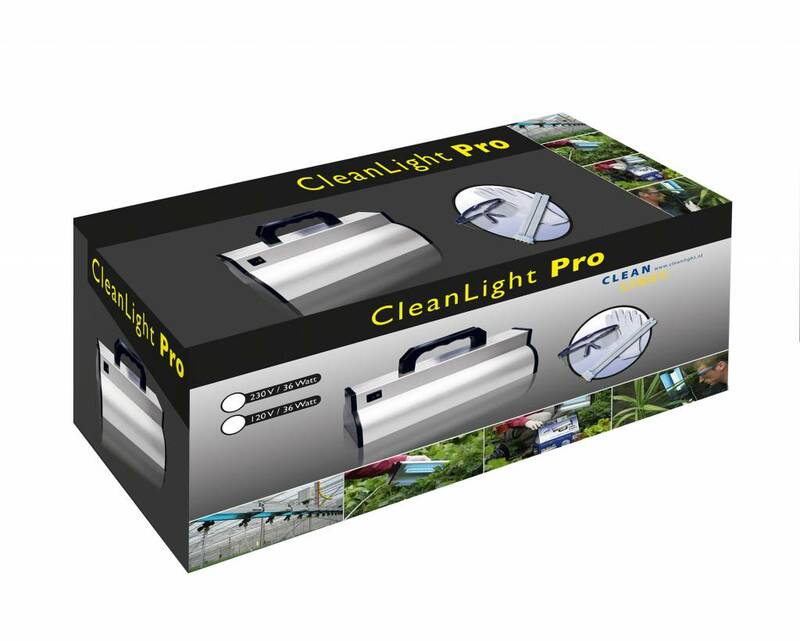 This CleanLight UV light is largely filtered by the ozone layer and CleanLight returns this light to the plants, especially plants and crops indoor or in greenhouses benefit optimally from CleanLight. 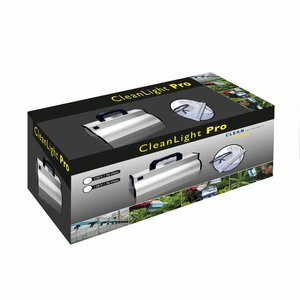 With the CleanLight Pro you protect your plants, flowers and crops on a completely organic and environmentally friendly manner. CleanLight can be applied inside and outside, crops and plants outside are stronger and can also be exposed longer to CleanLight UV. Important with the CleanLight UV crop protection is that it must be applied on a daily basis. Powdery mildew and botrytis spores namely germinate once in the 24-48 hours, to break this cycle it is important that CleanLight is applied daily. The CleanLight UV light does not kills spores and insects, these organisms are too strong, CleanLight kills the mycelium of a fungus. Some plants and crops are more resistant to UV light than others, when a slight burning of the leaf occurss it is recommended to let the plant rest a couple of days so it can recover. Caution! Always use the safety glasses and gloves! I researched the product extensively before i bought it, after hearing about it from one of my friends in Amsterdam. The technology has been used for commercial greenhouses for years. It gives a low dose of UVC light and you need to give the plant frequent treatments. If you do not follow these instructions or method you will not have the best results. Great product, after 4 days I already saw the powdery mildew disappear and the plants looked stronger and had colour. As they mentioned it is a boost for your plants in general, the plants lack UV light in general. Als je het niet consequent iedere dag doet heeft het weinig zin.. Te arbeidsintensief en te gevaarlijk met doseren. Ik gebruik liever een spray, is veel eenvoudiger. Je moet er even aan wennen maar het werkt vrij simpel. Aankoop en verzending ging prima. Uitkijken met verbranding bij deze unit.. Als je echt hevige verbranding hebt dan kun je de planten weggooien! Technology works, decent product, but don\'t forget to wear the UV protection glasses or gloves, it hurts when you get burned..
Omdat ik op zoek was naar een manier om de kwaliteit van mijn planten en gewassen te verbeteren, heb ik de PRO kit van CleanLight aangeschaft. Ik heb het totale pakket netjes op tijd en compleet ontvangen. Door de duidelijke toelichting op de website is het product makkelijk te gebruiken. Voordeel van de PRO kit vind ik dat het mogelijk is om grotere oppervlaktes sneller te behandelen. Na een tijdje zie je het eerste resultaat, het werpt zijn vruchten af. Ik heb dan ook zeker geen spijt van mijn aankoop. Tweets by CleanLight fights powdery mildew and botrytis with UV light.